Kyle Benedictus has joined Alloa on a season-long loan. 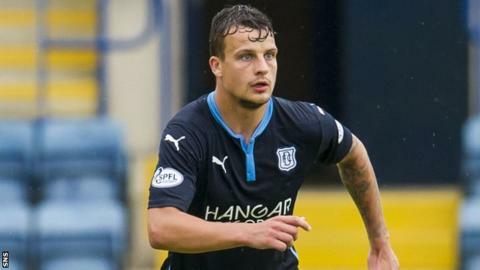 Alloa have signed Dundee defender Kyle Benedictus on a season-long loan. The 22-year-old defender will join former Dark Blues manager Barry Smith at Recreation Park, having made just one appearance this season. Benedictus becomes Alloa's seventh signing of the season, joining Adam Asghar, Greig Spence, Liam Buchanan, John Gibson, Mark Docherty and David Weatherston. Dundee have also announced that they have released goalkeeper Grant Adam. He joined the club in pre-season and the 23-year-old was on the bench for the Premiership opener against Kilmarnock.